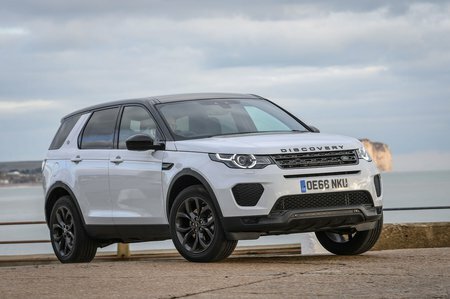 Land Rover Discovery Sport Boot Space, Size, Seats | What Car? 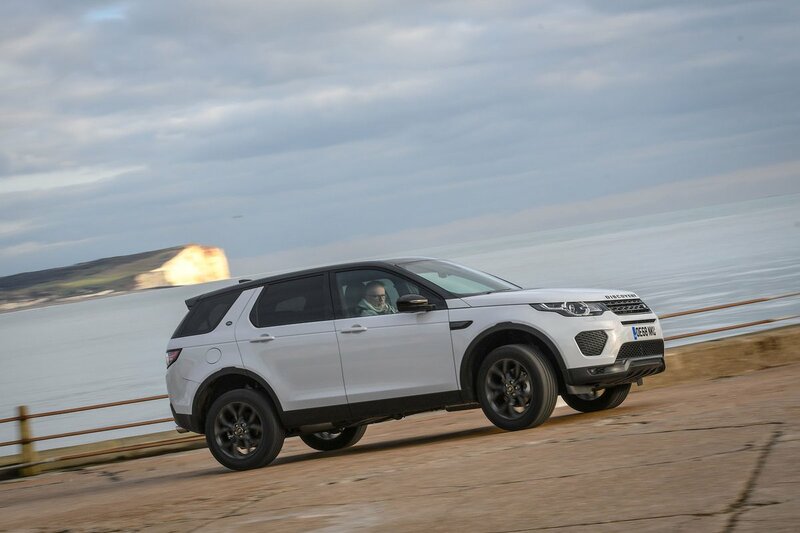 Even very tall drivers will be able to get comfortable in the Discovery Sport. There's plenty of leg room and head room is among the best in the class – provided you don’t add the optional panoramic glass roof which reduces this slightly. It doesn’t steal quite as much as those of the Peugeot 5008 or Hyundai Santa Fe, though. A deep central cubby houses the USB socket and makes the perfect place to store your phone out of sight. Two cupholders placed behind the gear selector can hold large takeaway mugs securely. The door pockets are sizeable enough to take a 750ml bottle, while the glovebox is big enough to store a few small items, as well as the car’s handbook. When the middle row of seats is slid back as far as possible, anyone sitting on them is treated to masses of leg room. True, if you slide them all the way forward, taller adults will find their knees pressed against the front seatbacks, but you won't need to do this very often. By contrast, when seven seats are fitted, the rearmost row is distinctly cramped and best suited to young teenagers or exceedingly short adults – our most compact 5’ 4” tester still felt cramped. Leg room is particularly tight and access isn't great, either, because the wheel arch juts into the space passengers have to squeeze through. Still, this is the only premium-badged car of this size to offer seven seats. If you’re willing to go non-premium, the Peugeot 5008, Hyundai Santa Fe and Kia Sorento have much more spacious third rows. The front passenger has the same seating adjustment as the driver, meaning standard manual movement with no lumbar adjustment. Full electric seat adjustment is optional on lower-priced Pure, SE and SE Tech trims. Otherwise, it’s standard on HSE and all versions above that. The middle row of seats is split 40/20/40 and you can slide and recline each of the three seats independently. You can also fold each seatback flat into the boot floor for a variety of configurations. Pull a lever low down on the side of the outer middle-row seats and they spring forward to give access to the third row. However, they don’t return to their original position automatically. Instead, they remain in place to free up leg space behind. A boot lip that sits flush with the boot floor makes it easy to lug heavy items into the back of the Discovery Sport. 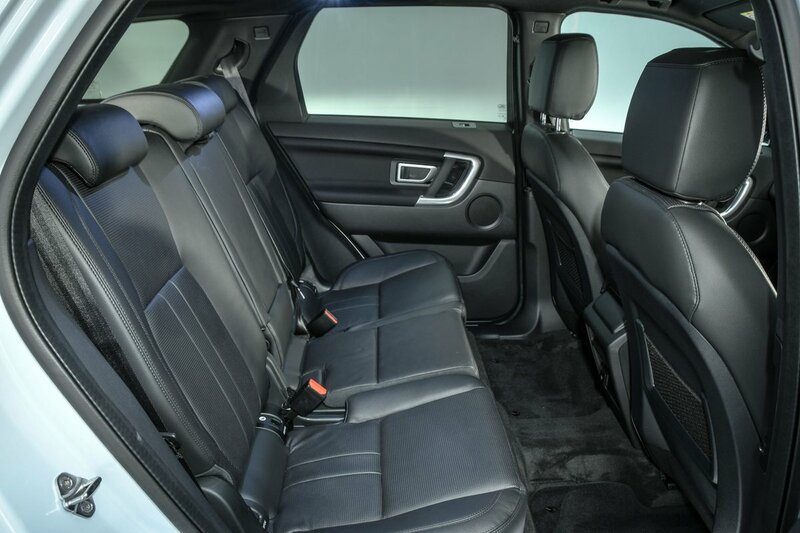 With the third row of seats folded down, and in five-seat versions, the boot is larger than that in many of its rivals; exceptions including the Sorento, Q5 and 5008. The load area is a useful shape and big enough to take than enough luggage for most people’s needs. To give you an idea of the space on offer, we were able to fit eight carry-on suitcases into the Discovery Sport, compared to nine in the Audi Q5. A powered, gesture-controlled tailgate is standard on all but the entry-level Pure and SE models. On the downside, there’s no underfloor storage and nowhere to stow the tonneau cover if you need to remove it – something you must do before raising the sixth and seventh seats.